Back before Uber and Lyft and Task Rabbit, the original members of the gig economy were the people who did gigs, i.e., freelance musicians. All over New York City, their instruments are visibly on the go. 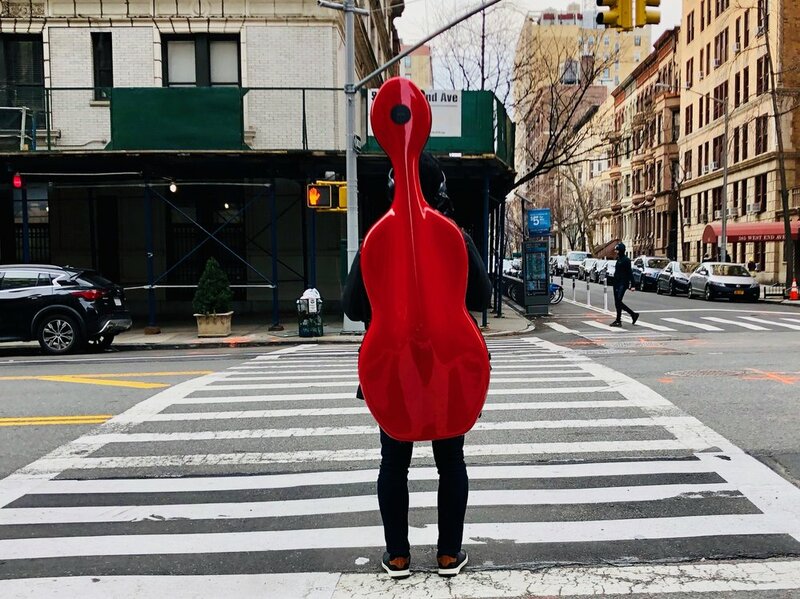 Mighty basses wheel down subway platforms, clever guitars steal bus seats, nimble flutes ride bikes, and leggy cellos, like the one above, are backpacked down the street. In this case, the case is critical. Why stick to dowdy brown or black when you can pack your axe in brilliant red or yellow fiberglass? This cello guy was so bright, graphic and eerily humanoid that I had to tail him for several blocks. All the while, I could feel his Cyclops eye looking right back at me.